Be a member of the queue to which the chat is routed. Place yourself in Available status. 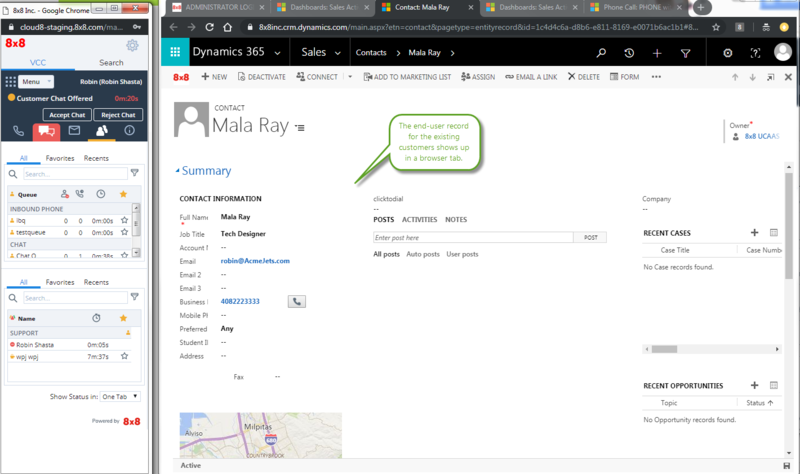 The data lookup for searching the CRM is via an email address. To trigger a chat request, customers must enter an email ID. What happens when I am offered a chat? If the application is open, the Chat tab blinks red, indicating an inbound interaction. Click on the chat tab to accept the chat. What is a typical chat flow? When a chat is offered, the Chat tab blinks red. 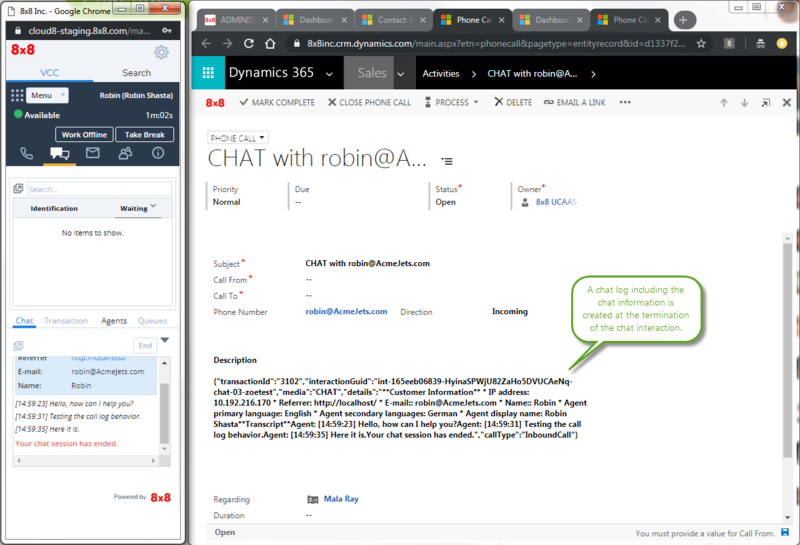 If the incoming chat is from an existing customer, the record pops allowing you to preview the customer details. Handle the chat interaction with the customer. Click End to finish the chat. The post-processing time initiates if your administrator has set it up for your tenant. Post-processing gives you time to wrap up notes for the chat. Note: Your administrator sets the post-processing timer. If the post-processing countdown interval reaches zero, 8x8 Contact Center automatically sets your status to Available. If applicable, click End Post Processing, or wait for the chat to terminate. Click Work Offline if you need more time to complete any post-processing tasks. At the termination of the chat interaction, the chat log pops. The log includes information about the time the chat was initiated, accepted, and terminated, along with the chat transcript.